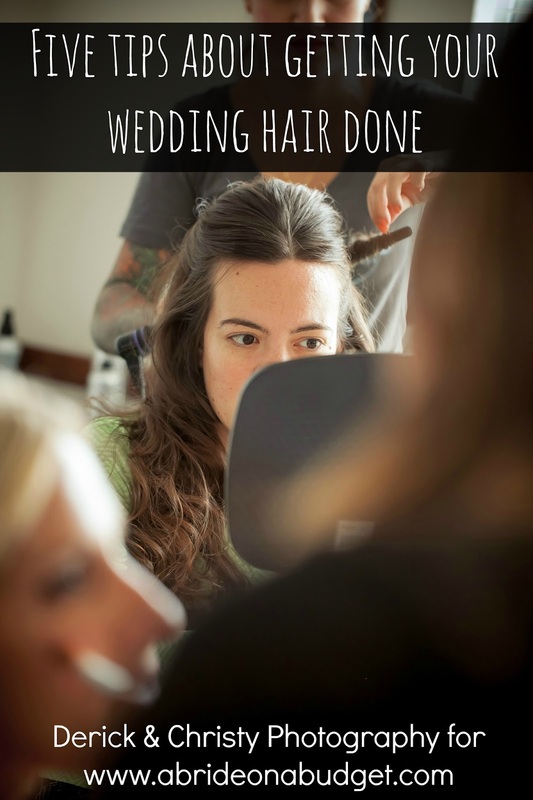 Try to avoid wedding trends. See, you're going to have these photos for the rest of your life. And in 50 years, when you're showing your album to your grandkids, are you really going to want to say, "Oh yes my little whippersnapper," (because, you know, you will be old and old people use antiquated language) "I opted for paper flowers because they were all the rage." And your snot-nosed little grandkid (because we were all that way at one point) will say, "Why didn't you just get real flowers?" 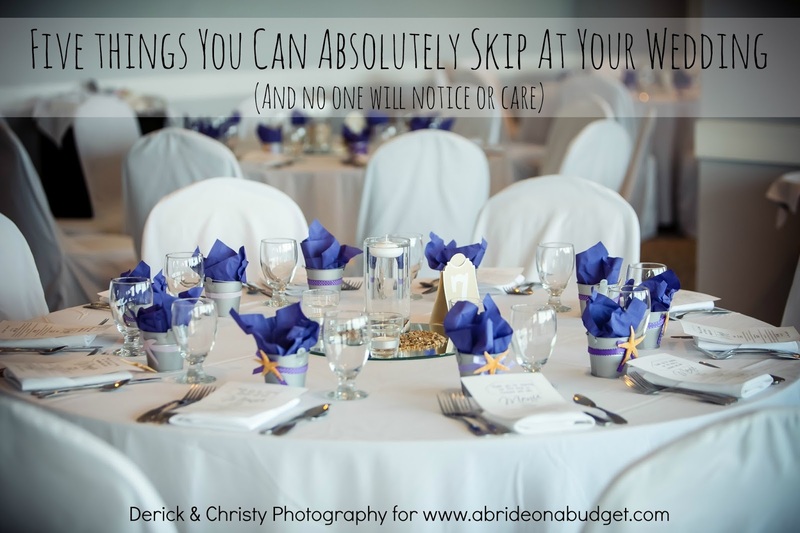 And you will have to go into a discussion about cost, trends, and Pinterest, finally concluding that, well, maybe you shouldn't have worn a bread tag wedding dress because not every inside joke plays out well at a wedding. I love bread, but I don't need to wear it down the aisle. But sparklers, oh my word. That is the trend that I could not stop dreaming about. Every time we met with a wedding photographer, I flipped through their lookbooks for a sparklers photo. Not there? Not the photog for me. We picked ours based on the fact that they had a sparklers photo ... and then we ended up not doing them. It just didn't fit into our day. If you can fit a sparklers photo in your wedding album, now is the time to stock up. If you live in a state where it is legal to sell fireworks, you should be finding them everywhere since 4th of July just happened. Most Fourth of July items will be on clearance for 50% off since the holiday passed earlier this week, which is a great time to stock up if you're planning an American-themed wedding. If your wedding colors are white or blue, now is a good time to shop. You can pick up items like blue cups, red napkins, and star-shaped confetti. These items aren't dated, but they need to move off the shelves. Stores need to make room for the next holiday, and you can use that to your advantage. Check candy too. A lot of brands will have holiday-themed bags that need to go. The outside of the bag may look red, white, and blue, but the inside is just regularly-wrapped candy. That's the time to stock up. Fireworks aren't always included as a clearance item, but, you should still stock up. 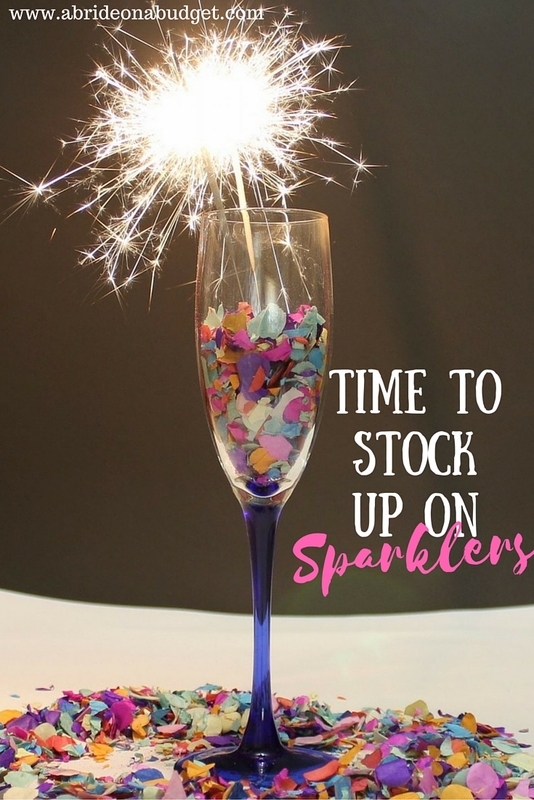 Realistically, if you want to use these at your November wedding, where are you going to find sparklers during the winter? 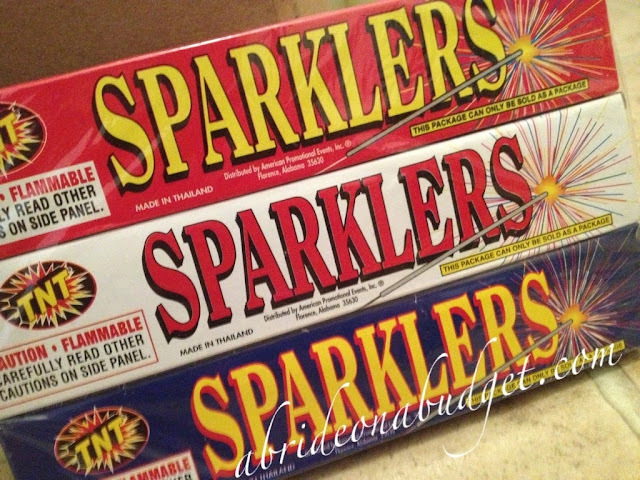 BRIDAL BABBLE: Did you find any July 4th clearance? 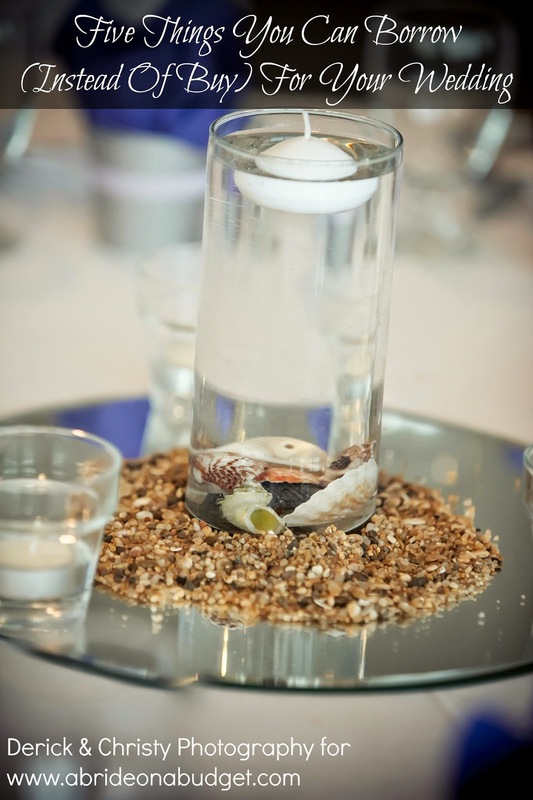 Planning a sparkler send off? 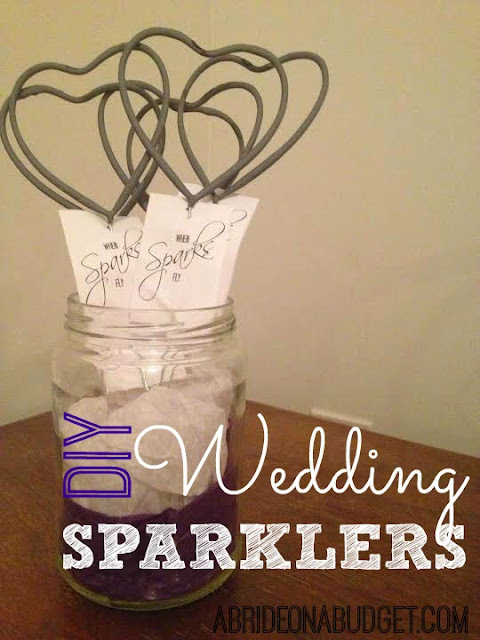 Check out our DIY Wedding Sparklers & Free Printable Tags post.